A very clean, streamlined driveway gate with decorative finials. 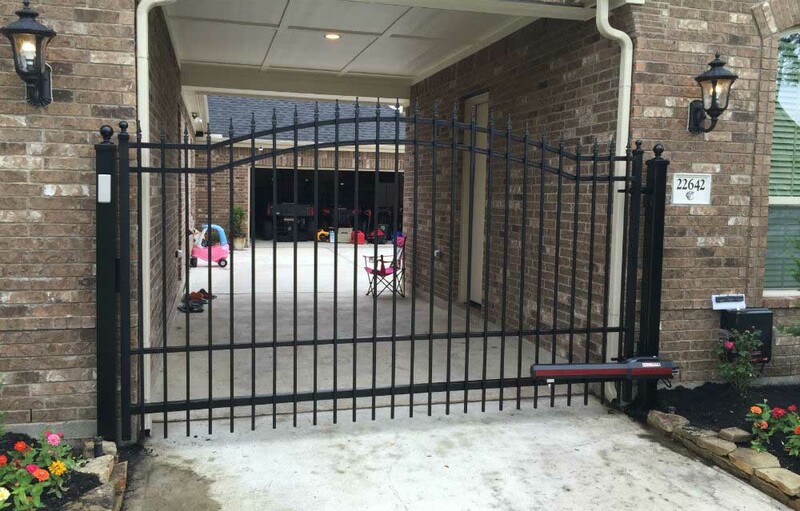 The swing gate Our professionals are available to help you choose the right automatic gate for your home. A driveway swing gate adds to the charm of your residence, but should also be durable for added security. From design to installation, you can count on the team at Sentry Garage Door & Gates to deliver the driveway gate of your dreams.